Catch the wave…Nautical Trends for the Summer Season. Fashion trends are ever-changing, but there is a classic theme that stays true to its own while still evolving with the times. Nautical captures the essence of summer with its bold colors and functional fabrics. From the busy streets of Paris to the seaside landscapes of the Hamptons, you will be sure to make a splash with this signature style. The Navy Blazer– Classic, cool, and clean. A custom navy blazer with red accents is a must. Add red contrast stitching to the lapels and buttonholes to really be a stand out. Thin White Stripes– Instead of a white shirt with blue stripes, go for a blue or red shirting with a thin white stripe. 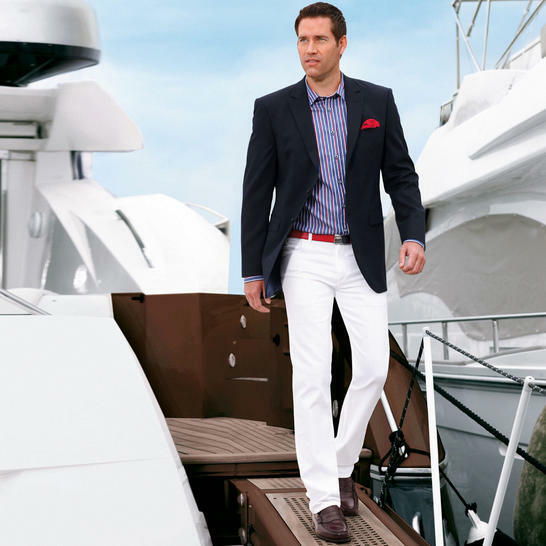 This subtle change can take you from the boardroom to the boat deck instantly. Try asking for a softer collar without stiff inserts for a more casual look. White Chinos– Nothing says summer like a crisp pair of lightweight, twill pants to pull this look together. Crested Buttons– Add a little something to your blazer with silver or gold crested buttons. An available option for any Astor & Black jacket, free of charge. 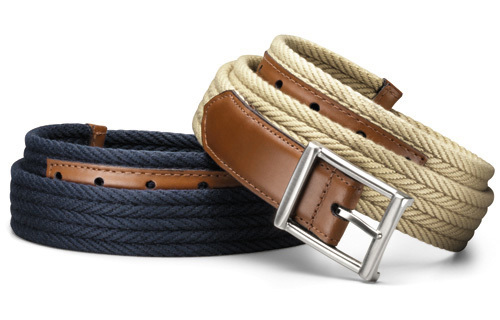 Bold Belt– A cotton woven belt to accent you look will stand out against a solid pair of white chinos. 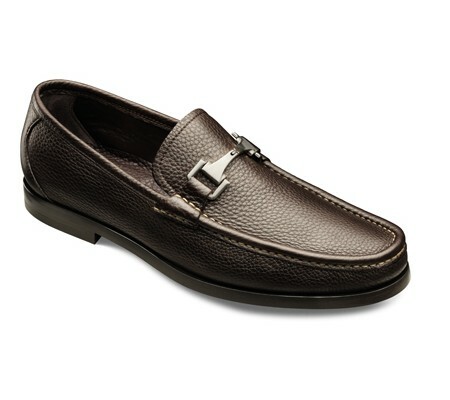 We suggest the Allen Edmonds Leather Trim Casual. Allen Edmonds Leather Trim Casual shown in navy and taupe. 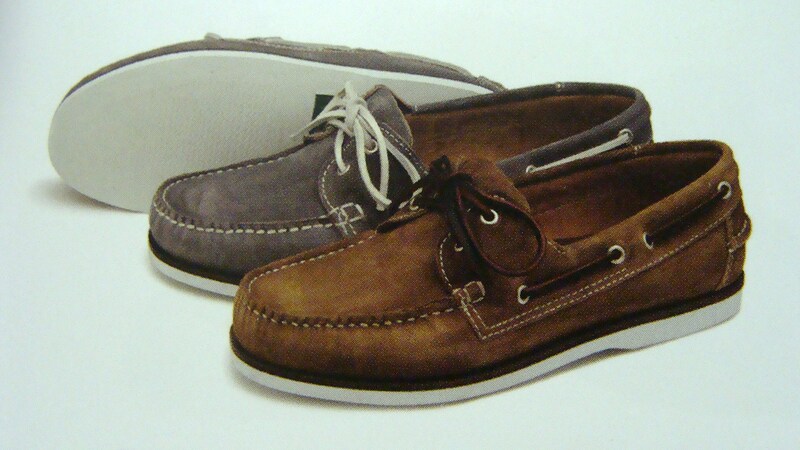 Boat Shoes– Boat shoes are a must to complete this look. Not only do they look great, but their rubber deck soles prevent slipping on water-logged surfaces. We suggest the Loake 523’s for a casual look (top), or the Allen Edmonds Firenze if your taking your nautical out on the town (bottom). Both are available through Astor & Black.